This end-user licence agreement (EULA) is a legal agreement between you (End-user or you) and JET EXPRESS TECHNOLOGY LIMITED (“JET” Licensor, us or we) for the use of any website or application software now or in the future offered by JET (hereinafter the Apps) along with any services, networks or applications provided (the “Services”). We licence use of the App to you on the basis of this EULA and subject to any rules or policies applied by both the Apple and Google Android application stores from whose site, (Appstores), the End-user downloaded the App (Appstores’ Rules). We do not sell the App to you. We and/or the owners of the App remain the owners of the App and Documents at all times and this License to use is non-exclusive, non-assignable and fully revocable. YOUR USE OF ANY DOWNLOADABLE APPLICATIONS, PRODUCTS, FEATURES OR SERVICES AVAILABLE ON OR THROUGH JET EXPRESS TECHNOLOGY LIMITED (“JET”) IS CONDITIONED UPON YOUR COMPLIANCE WITH, AND ACCEPTANCE OF, THE FOLLOWING AGREEMENT. YOU ACKNOWLEDGE AND AGREE THAT BY CLICKING ON THE ACCEPT BUTTON OR SIMILAR BUTTONS OR LINKS AS MAY BE DESIGNATED BY JET TO SHOW THESE TERMS AND/OR TO INSTALL THE APPLICATION, YOU ARE ENTERING INTO A LEGALLY BINDING CONTRACT. YOU WILL NOT BE PERMITTED TO USE THE APPLICATION AND THE ASSOCIATED JET SERVICES UNLESS AND UNTIL YOU ACCEPT THIS AGREEMENT AND ANY OTHER RULES OR POLICIES THAT JET MAY CREATE AND MAKE AVAILABLE ON THIS APPLICATION FROM TIME TO TIME. You represent and warrant that you are authorized to enter into this Agreement on behalf of yourself and/or the entity that you purport to represent and you agree your registration data is current, complete, and accurate. This Agreement will commence on the date that you complete the installation of the Application (the “Effective Date”). 1.1 The terms of this EULA apply to the Apps or any of the services accessible through the App (Services), including any updates or supplements to the Apps or any Service; unless they come with separate terms, in which case those terms apply. If any open-source software is included in the Apps or any Service, the terms of an open-source licence may override some of the terms of this EULA. 1.2 We may change these terms at any time by sending you a message of the change or notifying you of a change when you next start the Apps. The new terms may be displayed on-screen and you may be required to read and accept them to continue your use of the Services. 1.3 From time to time updates to the App may be issued through the Appstores. Depending on the update, you may not be able to use the Services until you have downloaded or streamed the latest version of the Apps and accepted any new terms. 1.4 You will be assumed to have obtained permission from the owners of the mobile telephone or handheld devices that are controlled, but not owned, by you and described in herein (under heading “Devices”) and to download or stream a copy of the Apps onto the Devices. You and they may be charged by your and their service providers for internet access on the Devices. You accept responsibility in accordance with the terms of this EULA for the use of the Apps or any Services on or in relation to any Device, whether or not it is owned by you. 1.5 By using the Apps or any of the Services, you consent to us collecting and using technical information about the Devices and related software, hardware and peripherals for Services that are internet-based or wireless to improve our products and to provide any Services to you. 1.6 The Apps or any Services may contain links to other independent third-party websites or use third-party software (Third-parties). Third-party Sites are not under our control, and we are not responsible for and do not endorse their content or their privacy policies (if any). You will need to make your own independent judgement regarding your interaction with any third-parties, including the purchase and use of any products or services accessible through them. The Service includes various aviation-related services. 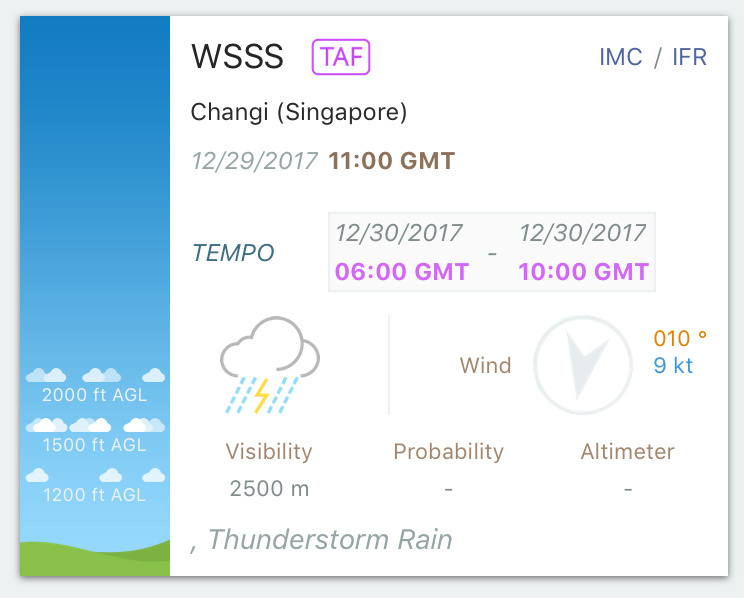 Our Services may include web- or mobile-app based checklists, pre-flight and in-flight weather, NOTAMs, flight publications and documents, pilot and aircraft logs, and other functionality JET may add to its Services. You must be at least 18 years of age to use the Service. By agreeing to this EULA, you represent and warrant to us that you are at least 18 years of age, competent, and legally entitled to enter into this EULA, and you have not previously been suspended or removed from the Service. We may terminate, or deny access to and use of, the Service, or any portion thereof, to any individual or entity for any reason, in our sole discretion. We also reserves the right to bring legal action against any individual or entity for any loss or damage that it may suffer as a result of violation of the terms of this EULA. 4.2 You may only download or stream a copy of the Apps onto a Device and to view, use and display the Apps on the Devices for your personal purposes only. (h) to comply with all technology control or export laws and regulations that apply to the technology used or supported by the Apps or any Services (Technology). (e) not collect or harvest any information or data from any Services or our systems or attempt to decipher any transmissions to or from the servers running any Services. 7.1 Your Content. You are solely responsible for your Content. We use the word “Content” to mean any information, material, or other content posted to our App or otherwise provided to us (such as feedback, comments, or suggestions shared with us); including but not limited to, text, graphics, images, music, software, audio, video, information, aircraft checklists downloaded via JET servers or aircraft checklists created by users, weather and NOTAMs sourced from 3rd party sources and user created logs. You agree that you and your Content shall not violate the rights of any third party (such as copyrights, trademarks, contract rights, privacy rights, or publicity rights), this Agreement. You are solely responsible for your Content that you upload, post, publish, or display or email or otherwise use via the Services; and you are responsible for any actions that take place while using the JET apps. 7.2 Content License from You. We do not claim ownership of your Content. However, to enable us to operate, improve, promote, and protect JET and our App, and to ensure we do not violate any rights you may have in your Content, you hereby grant JET a non-exclusive, worldwide, perpetual, irrevocable, royalty-free, sublicensable, transferable right and license (including a waiver of any moral rights) to use, host, store, reproduce, modify, publish, publicly display, publicly perform, distribute, and create derivative works of, your Content and to commercialize and exploit the copyright, trademark, publicity, and database rights you have in your Content. All User Content submitted by you on the Site or Application or via the Services will be considered non-confidential and non-exclusive. 7.4 Profiles are public to people, but we have privacy controls for you to decide who to show your profile to. That said, our app may experience bugs or faults that may or may not be out of our control and that your profile, while having privacy controls, may still have exposure to public. 7.5 Monitoring of User Content. While we do not have the obligation to monitor; we reserve the right to monitor all User Content uploaded to the Application at any time. We may decide, without notice to you, to remove, edit or delete any User Content where we consider at our sole discretion that such User Content is either bogus or in breach of these Terms. If JET chooses to monitor any User Content, it assumes no responsibility for, or any obligation to monitor or remove, such User Content. 7.6 You are solely responsible for any Posted information that you submit, publish or display on the Site or transmit to other users and/or other users of the Site. You may not post, distribute, or reproduce in any way any copyrighted material, trademarks, or other proprietary information without obtaining the prior written consent of the owner of such proprietary rights. You may not submit any content or material that infringes, misappropriates or violates the intellectual property, publicity, privacy or other rights of any party. 7.7 You are responsible for Content that you download from other users while using the App. This Content is not created, reviewed or verified by JET. You download all Content from the App at your own risk. Users are responsible for verifying the accuracy, safety and overall compliance with any Content they download from JET apps. 8.1 You acknowledge that all intellectual property rights in the Apps and the Technology anywhere in the world belong to us or our licensors, that rights in the Apps are licensed (not sold) to you, and that you have no rights in, or to, the Apps or the Technology other than the right to use each of them in accordance with the terms of this EULA. 8.2 You acknowledge that you have no right to have access to the Apps in source-code form. 9.1 You expressly acknowledge and agree that use of the Apps and Services provided is at your sole risk and that the entire risk as to satisfactory quality, performance, accuracy and effort is with you. 9.2 To the extent that products or prices, e.g. fuel prices, offered by third parties may be displayed within the Service, that content is by its nature subject to change without notice by the applicable third party, and is neither independently confirmed by JET nor guaranteed to be accurate or current. 9.3 To the maximum extent permitted by applicable law, the Apps and Services are provided “as is” and “as available”, with all faults and without warranty of any kind, and we hereby disclaim all warranties and conditions with respect to the Apps and Services, either express, implied or statutory, including, but not limited to, any implied warranties and/or conditions of merchantability, of satisfactory quality, of fitness for a particular purpose, of accuracy, of quiet enjoyment, and non-infringement of third party rights. We do not warrant against interference with your enjoyment of the Apps that the functions contained in the Apps or Services will meet your requirements, that the operation of the Apps or Services will be uninterrupted or error-free, or that defects in the Apps or Services will be corrected. No oral or written information or advice given by us or our authorized representative shall create a warranty. Should the Apps or Services prove defective, you assume the entire cost of all necessary servicing, repair or correction. c) on thirty days’ notice. You agree to indemnify, defend and hold JET harmless from any and all Claims, losses, liabilities, expenses, damages, and costs Claims, made by any third party or other user of the Service/App due to or arising out of (a) your violations of this Agreement, (b) your use, misuse, or abuse of our App, (c) your Content, or (d) your violation of any law, statute, ordinance or regulation or the rights of a third party. You agree to promptly notify us of any third party Claims, cooperate with JET in defending such Claims and pay all fees, costs and expenses associated with defending such Claims (including, but not limited to, attorneys’ fees). You agree not to settle any Claim without our prior written consent. THE INFORMATION ON THIS APP IS PROVIDED ON AN “AS IS” BASIS WITH NO PROMISES, REPRESENTATIONS OR WARRANTIES (EXPRESS OR IMPLIED). TO THE FULLEST EXTENT PERMITTED BY LAW, JET EXCLUDES ALL REPRESENTATIONS AND WARRANTIES RELATING TO THIS APP AND ITS CONTENTS OR WHICH IS OR MAY BE PROVIDED BY ANY AFFILIATES OR ANY OTHER THIRD PARTY, INCLUDING IN RELATION TO ANY INACCURACIES OR OMISSIONS IN THIS APP AND/OR OTHER JET PUBLIC INFORMATION. FURTHERMORE, JET MAKES NO GUARANTEES AS TO THE APP’S SECURITY, LACK OF INTERRUPTION OF SERVICE, RELIABILITY, TIMELINESS, ACCURACY, AND PERFORMANCE OR ERRORS THEREIN. YOU ACKNOWLEDGE AND AGREE EXPRESSLY AND IMPLIEDLY, WITH EXTENT PERMITTED BY LAW, THAT JET SHALL NOT BE LIABLE FOR ANY DIRECT, INDIRECT, INCIDENTAL, SPECIAL, CONSEQUENTIAL, EXEMPLARY OR INTANGIBLE DAMAGES RESULTING FROM THE USE OF OR INABILITY TO USE THE APP. FURTHERMORE, THE EXTENT PERMITTED BY LAW, JET SHALL NOT BE HELD LIABLE FOR LOSS OR DAMAGE TO GOODWILL, LOSS OR DAMAGE TO PROPERTY AND/OR LOSS FROM CLAIMS OF THIRD PARTIES, LOST PROFITS OR ANY SPECIAL, INCIDENTAL, CONSEQUENTIAL OR PERSONAL INJURY DAMAGES ARISING OUT OF OR IN CONNECTION WITH ITS APP, ITS SERVICES OR THIS AGREEMENT. MOREOVER, JET SHALL NOT BE LIABLE FOR ANY CLAIMS ARISING OUT OF OR IN CONNECTION WITH ITS APP, ITS SERVICES, OR THIS AGREEMENT OR THE INABILITY TO USE OUR PLATFORM (HOWEVER ARISING, INCLUDING OUR NEGLIGENCE), OR STATEMENTS OR CONDUCT OF OR TRANSACTIONS WITH ANY USER OR THIRD PARTY ON THE PLATFORM, OR FROM YOUR USE OF OUR PLATFORM OR ANY OTHER MATTER RELATING TO THE PLATFORM. YOU AGREE TO INDEMNIFY AND HOLD JET, ITS PARENT, SUBSIDIARIES, AFFILIATES (AS APPLICABLE), AS WELL AS JET’S PARTNERS, OFFICERS, DIRECTORS, AGENTS, AND EMPLOYEES, FROM ANY AND ALL CLAIMS OR DEMANDS, INCLUDING ATTORNEYS’ FEES, MADE BY ANY THIRD PARTY RELATED TO YOUR BREACH OF THIS AGREEMENT AND INCORPORATED DOCUMENTS OR VIOLATION OF THE RIGHTS OF ANY THIRD PARTY. YOU ACKNOWLEDGE AND AFFIRM THAT JET DOES NOT AND DID NOT WARRANT THAT THE INFORMATION THAT MAY BE OBTAINED FROM THE USE OF THE APP WILL BE ACCURATE OR RELIABLE. FURTHERMORE, IT DOES NOT WARRANT THAT THE QUALITY OR LEGAL SUFFICIENCY OF ANY INFORMATION OR REPRESENTATION OBTAINED BY YOU THROUGH THE APP, OR THAT ANY ERRORS IN THE APP WILL BE CORRECTED. JET DOES NOT REPRESENT OR WARRANTY THE MARKETABILITY OF ANY INTEREST POSTED ON ITS APP. ALL RISKS AND LIABILITY REMAIN WITH USERS AS APPLICABLE LAW DICTATES. THIS APP IS MERELY A PLATFORM FOR NETWORKING, SHARING OF INFORMATION, AND HOSTING AND JOINING ACTIVITIES BETWEEN USERS AND NOT A DIRECT MARKET SITE. YOUR USE OF THE SITE, APPLICATION AND SERVICES IS WITHOUT ANY WARRANTY OR GUARANTEE AND IS ENTIRELY AT YOUR OWN RISK. FURTHERMORE, JET MAKES NO GUARANTEES AS TO THE APP’S SECURITY, LACK OF INTERRUPTION OF SERVICE, RELIABILITY, OR ERRORS THEREIN AND DOES NOT ACCEPT ANY LIABILITY FOR ANY DELAYS, FAILURES, ERRORS, OR OMISSIONS OR LOSS OF TRANSMITTED INFORMATION, VIRUSES, OR OTHER CONTAMINATION OR DESTRUTIVE PROPERTIES TRANSMITTED TO YOU OR YOUR COMPUTER SYSTEM VIA THE SITE AND APPLICATION. JET SHALL NOT BE LIABLE FOR ANY DIRECT , INDIRECT, INCIDENTAL, SPECIAL, CONSEQUENTIAL, EXEMPLARY OR INTANGIBLE DAMAGES RESULTING FROM ANY UNAUTHORIZED ACCESS TO OR USE OF OUR SECURED SERVERS, ANY INTERRUPTION OR CESSATION OF TRANSMISSION TO OR FROM OUR SITE OR APPLICATION; ANY BUGS, VIRUSES, TROJAN HORSES OR THE LIKE WHICH MAY BE TRANSMITTED TO OR THROUGH OUR SITE OR APPLICATION BY ANY THIRD PARTY; ANY ERRORS OR OMISSIONS IN ANY CONTENT OR FOR ANY LOSS OR DAMAGE OF ANY KIND INCURRED AS A RESULT OF YOUR USE OF ANY CONTENT POSTED, EMAILED, TRANSMITTED, OR OTHERWISE MADE AVAILABLE VIA THE JET APPLICATION, WHETHER BASED ON WARRANTY, CONTRACT, TORT, OR ANY OTHER LEGAL THEORY. 13.1 You acknowledge that the Apps have not been developed to meet your individual requirements, and that it is therefore your responsibility to ensure that the facilities and functions of the Apps as described meet your requirements. 13.2 We only supply the Apps for domestic and private use. You agree not to use the Apps for any commercial, business or resale purposes, and we have no liability to you for any loss of profit, loss of business, business interruption, or loss of business opportunity. 13.3 Our maximum aggregate liability under or in connection with this EULA (including your use of any Services) whether in contract, tort (including negligence) or otherwise, shall in all circumstances be limited to $200.00 (HKD). This does not apply to the types of loss set out in condition 9.4. JET supports the protection of intellectual property and requires all users of its website to do the same. It is JET’s policy to respond to all notices of alleged copyright infringement. In the policy JET, in appropriate circumstances and in its sole discretion, to disable and/or terminate the accounts of users of JET who are proven to infringe upon the copyrights or other intellectual property rights of JET in accordance with the Digital Millennium Copyright Act of 1998 (DMCA). Notice is specifically given that JET is not responsible for the content placed on its website by parties other than JET employees or agents. JET endeavors to prevent the placement of illegal or infringing property on its App, but cannot prevent all occasions of said placement. JET appreciates the help of its users in identifying any illegal or infringing property. We request that you provide us with notifications of any infringement of which you have knowledge. Please note that in addition to being forwarded to the person who provided the allegedly infringing content, a copy of this legal notice (with your personal information removed) may be published publicly on JET’s App. * JET shall replace the removed material or cease disabling access to the material within ten (10) to fourteen (14) business days following receipt of the Counter Notification, provided JET has not received notice from the Complaining Party that an action has been filed seeking a court order to restrain User from engaging in infringing activity relating to the material on JET’s App. In accordance with Section 512(i)(1)(a) of the DMCA, JET will, in appropriate circumstances, disable and/or terminate the accounts of users who are repeat violators of this policy. 15.1 Informal Resolution. Before making any claim, you and JET agree to try to resolve any disputes through good faith discussions. We use the term “claim” in this Section to mean any dispute, claim or controversy arising out of or relating to your use of our Platform or this Agreement. You or JET may initiate this process by sending written notice, according to these terms, describing the dispute and your proposed resolution. In the event that we cannot resolve the issue within 30 business days of receipt of the initial notice, you or JET may bring a claim in accordance with this Section. 15.2 Agreement to Arbitrate. By using this App you agree and acknowledge that any and all controversies, disputes, demands, counts, claims, or causes of action (including the interpretation and scope of this clause, and the ability to arbitrate the controversy, dispute, demand, count, claim, or cause of action) between you and Company and our employees, agents, successors, or assigns, regarding or relating to the App or these Terms shall exclusively be settled through binding and confidential arbitration. You hereby waive any right to bring your claims in court and elect arbitration as your sole remedial course of action. 15.3 Arbitration Time for Filing. Any claim subject to arbitration must be filed within one year after the date the party asserting the claim first knows or should know of the act, omission or default giving rise to the claim, or the shortest time period permitted by applicable law. 15.4 Choice of Arbitration. Arbitration shall be subject to Hong Kong law. The arbitration shall be conducted before one commercial arbitrator with substantial experience in resolving commercial contract disputes. 15.5 Class Action Waiver. You agree to resolve disputes with JET on an individual basis. You agree not to bring a claim as a plaintiff or a class user in a class, consolidated or representative action. You are expressly waiving any right to participate in class actions, class arbitrations, private attorney general actions and consolidation with other arbitrations. 15.6 Survival. The terms of this provision shall survive the termination of this Agreement. Any action related to the Terms, Content, the Services, and your relationship with the JET shall be governed by, and construed and interpreted in accordance with, the laws of the Hong Kong Special Administrative Region of the People’s Republic of China, without regard to principles of conflict of laws. You agree to submit to the exclusive jurisdiction of the Hong Kong Court. Subject to the Section entitled “Dispute Resolution”, the parties irrevocably consent to bring any action to enforce this Agreement in the local courts of Hong Kong, and you consent to the exclusive jurisdiction of Hong Kong and its courts, tribunals and laws. If any party hereto brings any suit or action against another for relief, declaratory or otherwise, arising out of these Terms, the prevailing party will have and recover against the other party, in addition to all court costs and disbursements, such sum as the court may adjudge to be reasonable attorneys’ fees. Except to the extent prohibited by applicable law, the parties agree that any claim or cause of action arising out of or related to use of the services or the Terms must be filed within one (1) year after such claim or cause of action arose or be forever barred. If you are using our mobile applications on an iOS device, the terms of this Section apply. You acknowledge that this EULA is between you and JET only, not with Apple, and Apple is not responsible for the App or its content. Apple has no obligation to furnish any maintenance or support services with respect to the App. If the App fails to conform to any applicable warranty, you may notify Apple, and Apple will refund any applicable purchase price for the mobile application to you; and, to the maximum extent permitted by applicable law, Apple has no other warranty obligation with respect to the App. Apple is not responsible for addressing any claim by you or any third party relating to the App or your possession or use of the App, including: (a) product liability claims; (b) any claim that the App fails to conform to any applicable legal or regulatory requirement; and (c) claims arising under consumer protection or similar legislation. Apple is not responsible for the investigation, defense, settlement, or discharge of any third party claim that the App or your possession and use of the mobile application infringe that third party’s intellectual property rights. You agree to comply with any applicable third party terms when using the App. Apple and Apple’s subsidiaries are third party beneficiaries of Section of this EULA, and upon your acceptance of this EULA, Apple will have the right (and will be deemed to have accepted the right) to enforce this Section of this EULA against you. You hereby represent and warrant that: (i) you are not located in a country that is subject to a U.S. Government embargo, or that has been designated by the U.S. Government as a “terrorist supporting” country; and (ii) you are not listed on any U.S. Government list of prohibited or restricted parties. 18.1 We may transfer our rights and obligations under this EULA to another organization, but this will not affect your rights or our obligations under this EULA. 18.2 You may only transfer your rights or obligations under this EULA to another person if we agree in writing. 18.3 If we fail to insist that you perform any of your obligations under this EULA, or if we do not enforce our rights against you, or if we delay in doing so, that will not mean that we have waived our rights against you and will not mean that you do not have to comply with those obligations. If we do waive a default by you, we will only do so in writing, and that will not mean that we will automatically waive any later default by you. 18.4 Each of the conditions of this EULA operates separately. If any court or competent authority decides that any of them are unlawful or unenforceable, the remaining conditions will remain in full force and effect. 19.1 If you wish to contact us in writing, or if any condition in this EULA requires you to give us notice in writing, you can send this to us by e-mail at admin@jetexpresstech.com. We will confirm receipt of this by contacting you in writing, normally by e-mail. 19.2 If we have to contact you or give, you notice in writing, we will do so by e-mail to the email address you provide to us in your request for the App.